Miami, FL – September 19, 2017 – With technology and business models changing faster than ever before, testing the ability of companies to adapt, the Global Wellness Summit announced today that numerous keynotes will address the future disruptions that will most impact the wellness industries, so that conference attendees can better grasp both coming threats and opportunities. “Disruption” experts like Frits Dirk Van Paasschen (former CEO, Starwood; author of The Disruptors’ Feast), Paul Price (CoCreativ), David McCaughan (Ai.agency), Maggie Hsu (Zappos), Alia Crum (Stanford University), Laurie Racine (Lifesquare, Inc.) and Ramesh Caussy (Partnering Robotics) will analyze the technology and business trends that will reshape the future – AI, virtual reality, Bitcoin, Blockchain, robotics, and more – to help wellness companies prepare for a volatile, fast-changing world. The conference is being held at The Breakers Palm Beach from Oct. 9-11. Former CEO of Starwood and The Coors Brewing Company, and past President of EMEA for Nike, Van Paasschen is the author of The Disruptors’ Feast: How to Avoid Being Devoured in Today’s Rapidly Changing Global Economy. CNBC host Jim Cramer called it “a book that completely captures the moment we’re in…and if you don’t read it, then maybe your stock won’t be worth owning.” Van Paasschen’s keynote, “Wellness in the Age of Disruption”, will explore how change is not only wreaking havoc on companies but also on social structures – and how we need entirely new traditions to reclaim control of our businesses and lives. An award-winning digital marketing leader, Price has served as CEO of several successful digital marketing companies, where he acquired deep experience on the convergence of technology and marketing. He is now Group CEO of CoCreativ, a new group of best-in-class creative solutions for digital commerce. In his keynote “WHAT IF: Imagining the Unimaginable Impact of Technology on Your Business” he will share his playbook for digital marketing in the 21st century, along with his top ten plays for growing customers in the wellness category using the most powerful marketing technology applications. Hsu is Adviser at Zappos.com, the leading online retailer for shoes and clothing, and former director of strategy for Brands & Commercial Services at Hilton Worldwide and consultant at McKinsey & Company. Her keynote ”Virtual Reality, Augmented Reality, Bitcoin and Blockchain for Wellness: Fad or Future?” will explore the most transformative new technologies, to identify which make the most sense (or not) for the wellness industries. Racine is CEO of Lifesquare, a startup that is changing the way people connect and communicate critical health information among in-hospital teams and, most importantly, between people as they go about their daily lives. Their motto: “You Move, We Move”. She has spent the last 20 years investing in, founding or running companies like dotSub, Creative Commons, Startl and Lulu Enterprises. A champion of women founders, Laurie also advises or sits on the board of The Skimm, littleBits and Open Road Integrated Media. Caussy is CEO & Founder of France-based Partnering Robotics, and president of Roboethics, industrial president on ethics in robotic service, by Grenoble INP. He has worked for various Fortune 500 tech companies (Intel, Alcatel, 3com) contributing greatly to breakthroughs such as the release of XDSL, connected Palmor, and the Intel Connected TV platform. His talk (and immersive experience) is “Meet the Wellness Robot”, showing how this technology can enhance human wellness. 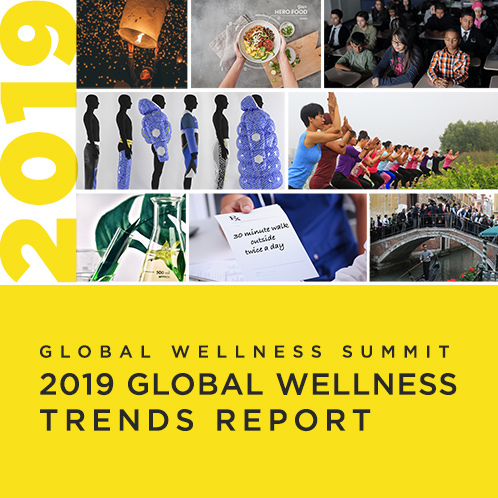 With a conference theme of “Living a Well Life”, Summit attendees will not only hear about disruptive wellness technologies, they will experience them: from DNA and personal biomarker testing to a “wellness robot” to new technology that makes real-time access to people’s health information a reality.